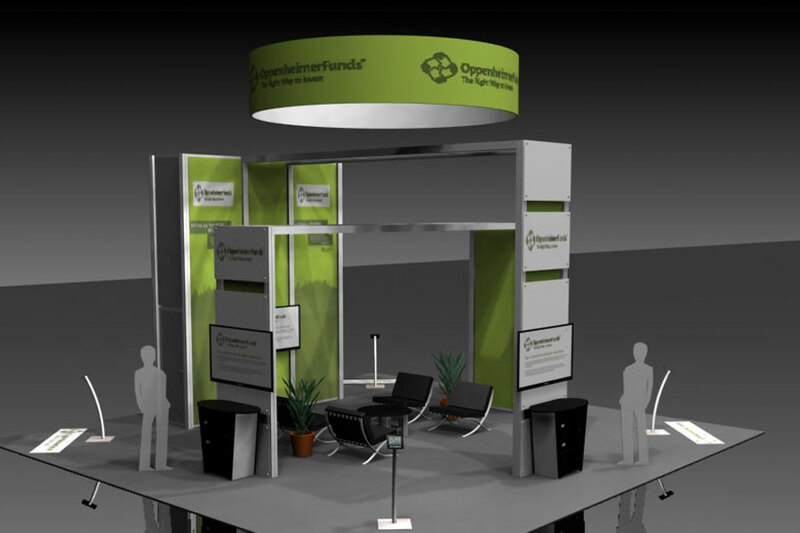 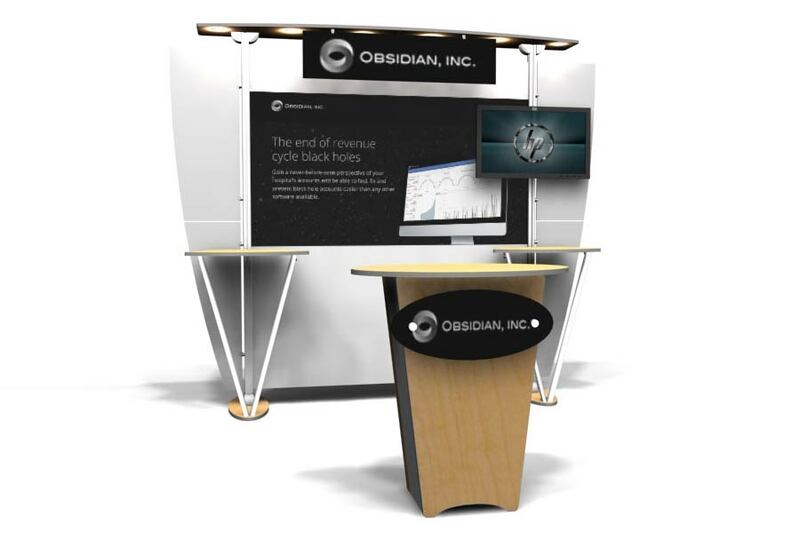 We specialize in designing and building custom displays based on your unique exhibit requirements and offer the largest selection of portable displays available—along with accessories and add-ons to support your needs. 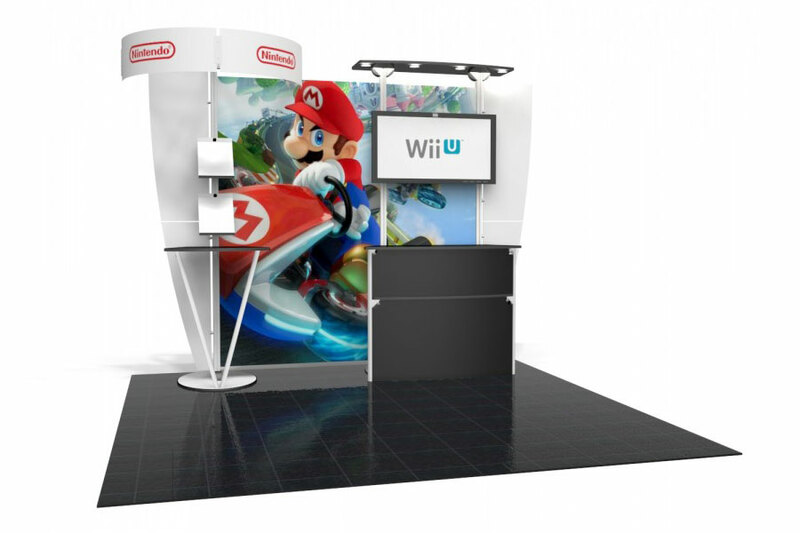 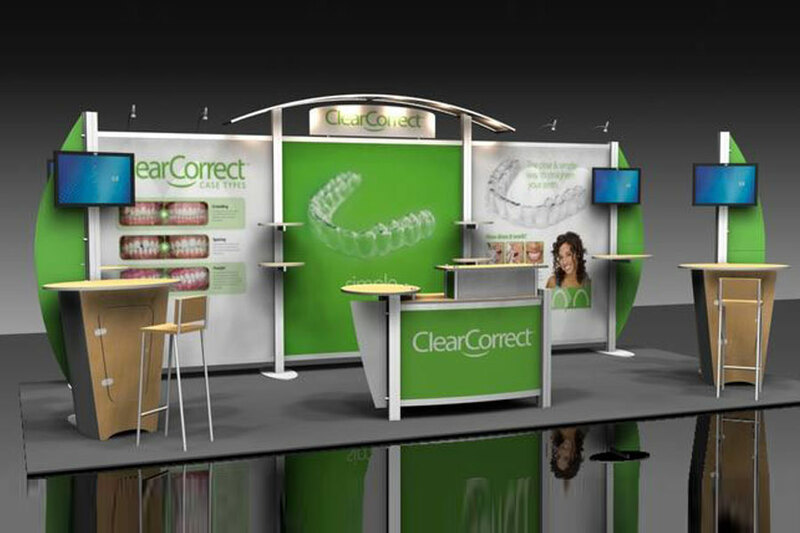 So, whether you need a simple display stand or a large island display, we can help design and build it so that you look good. 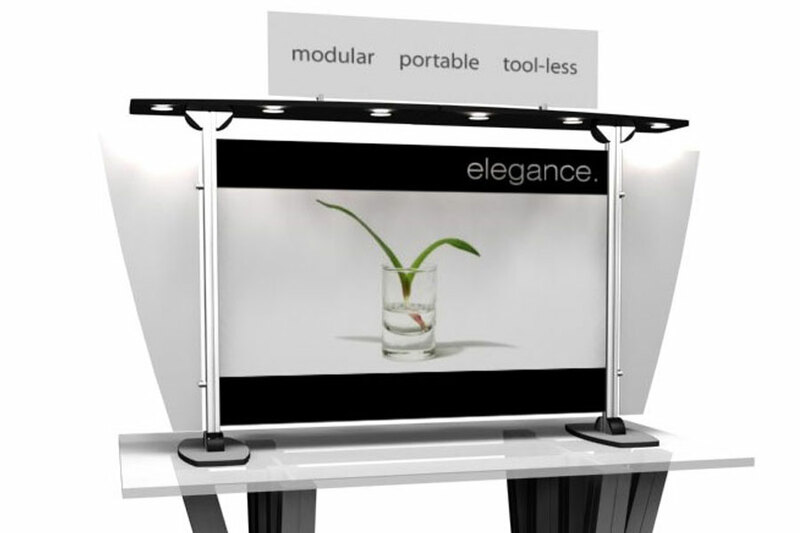 The displays listed below represent a sampling of what we offer. 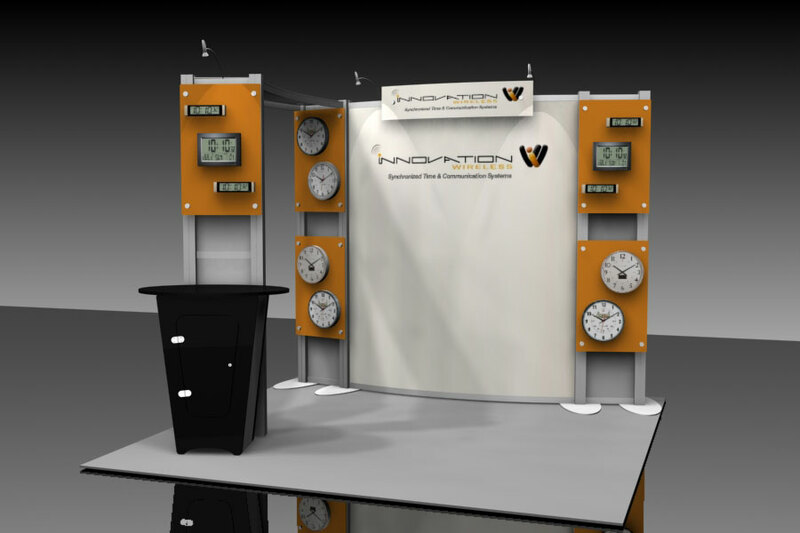 Please call us to review your requirements so we can create your custom display. 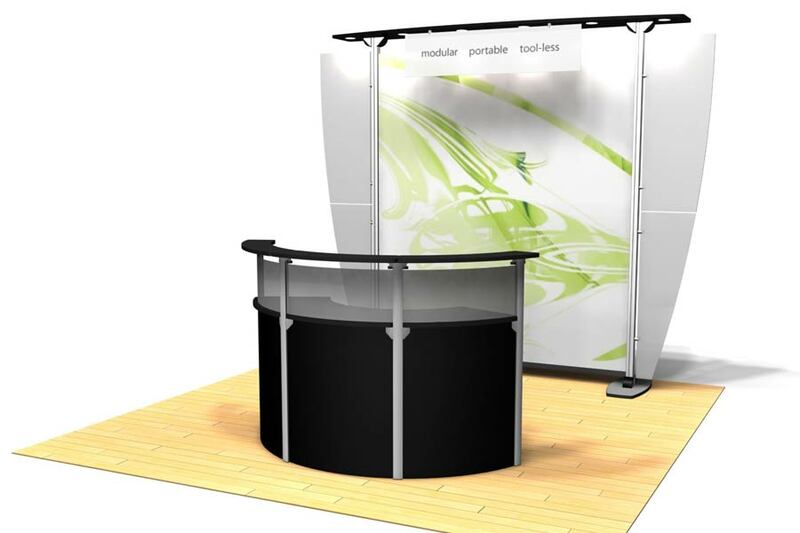 For pricing or product inquiries, please call us at 858-240-7530 or email us at info@myexhibiteam.com. 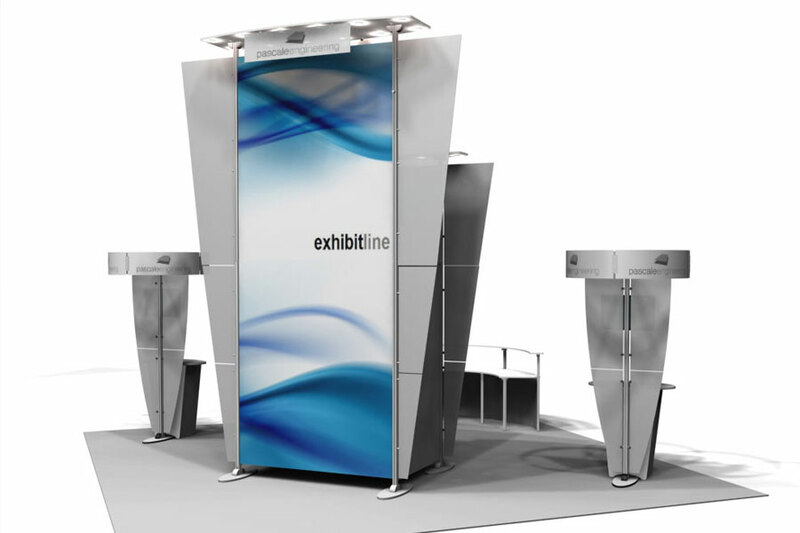 One of our friendly exhibit specialists will contact you shortly to discuss how exhibiTeam can be of service to your company. 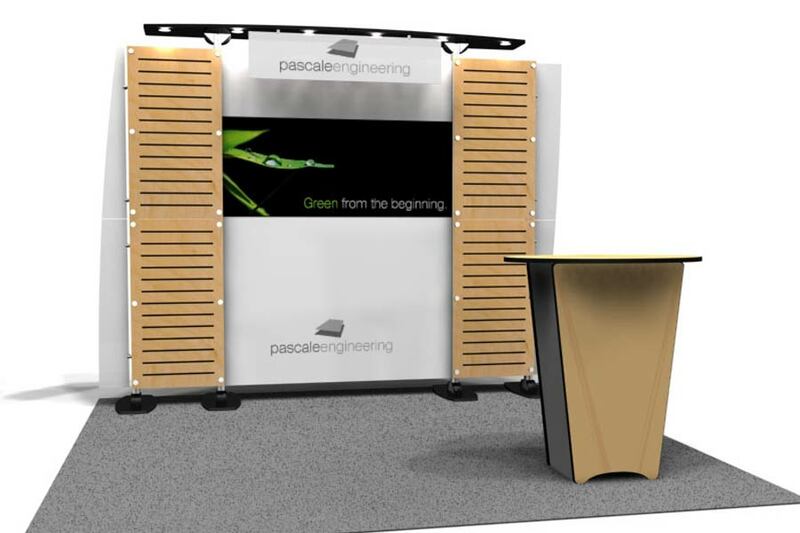 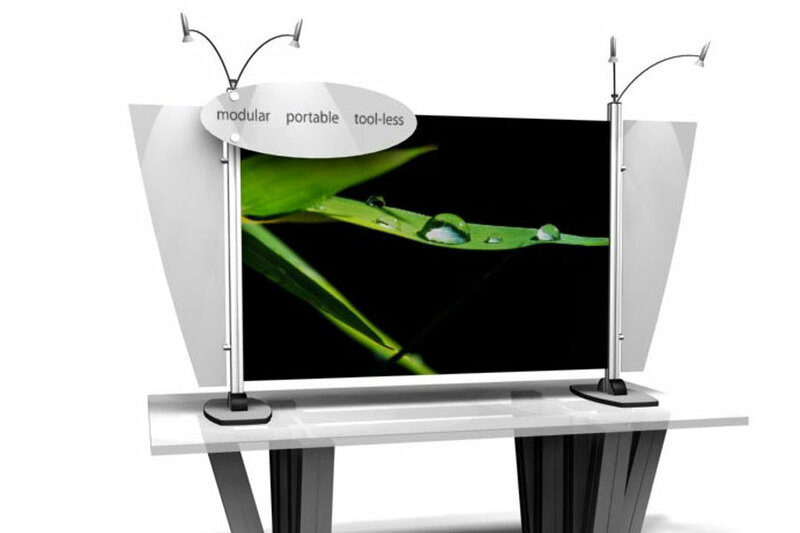 10×10 displays – Easy-to-assemble ‘Pop-up displays’ are a perfect solution for a lower-cost booth that fits in a carry-on bag. 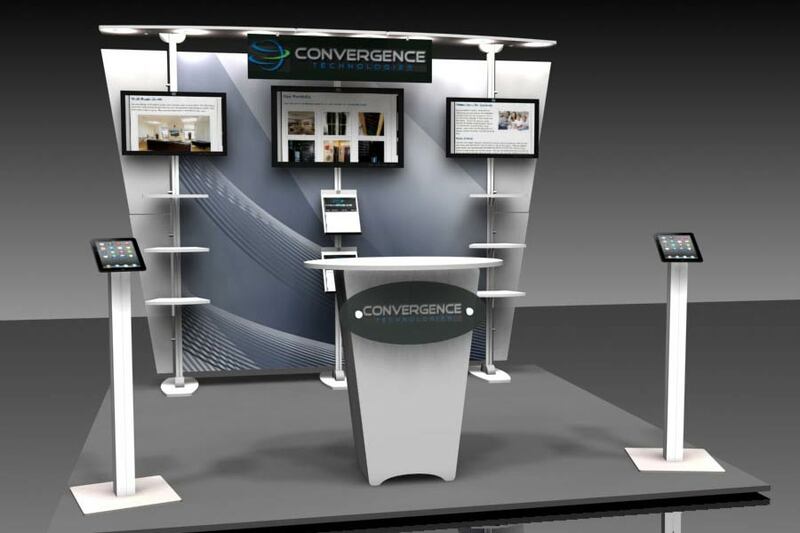 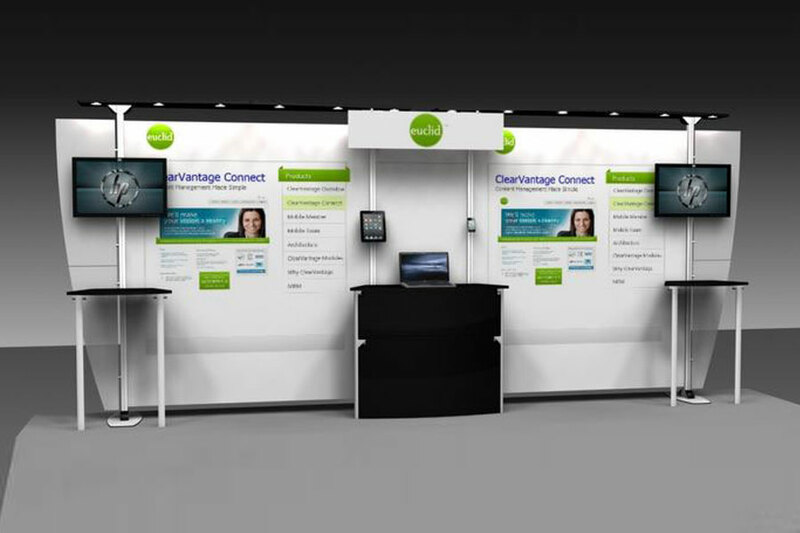 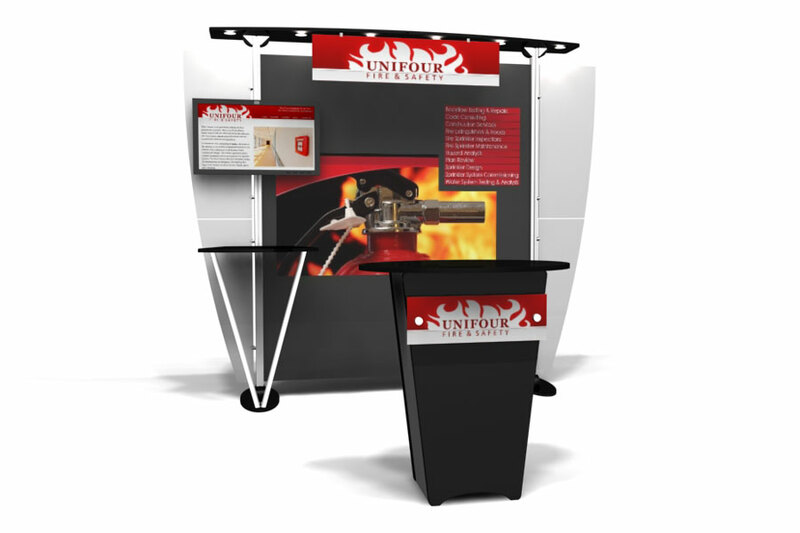 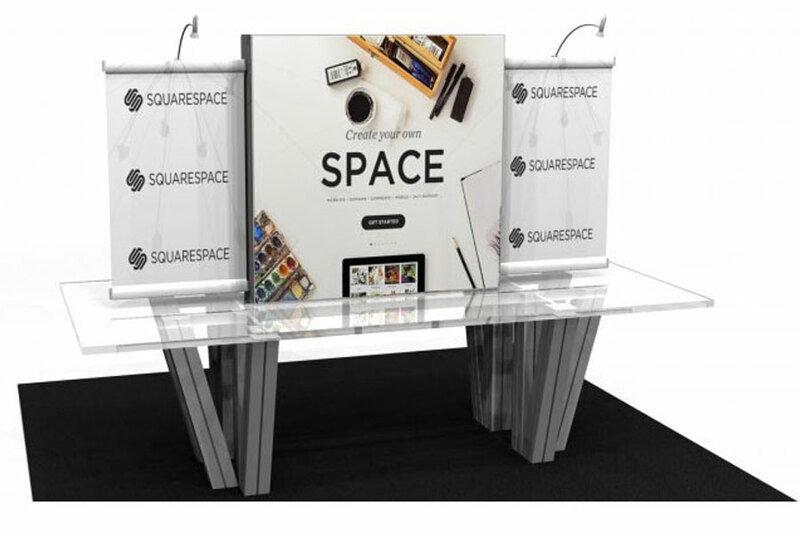 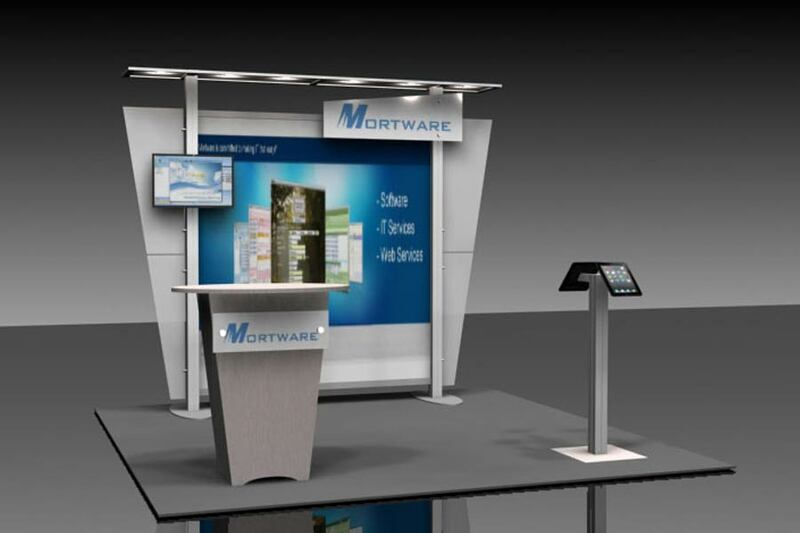 10×10 displays are perfect for exhibitors who are looking for simplicity and ease of use while still wanting to generate booth traffic within a smaller floor space. 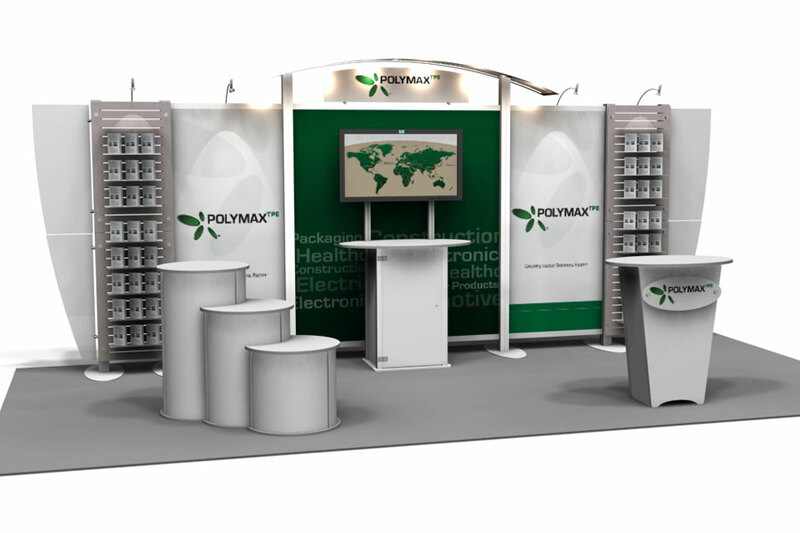 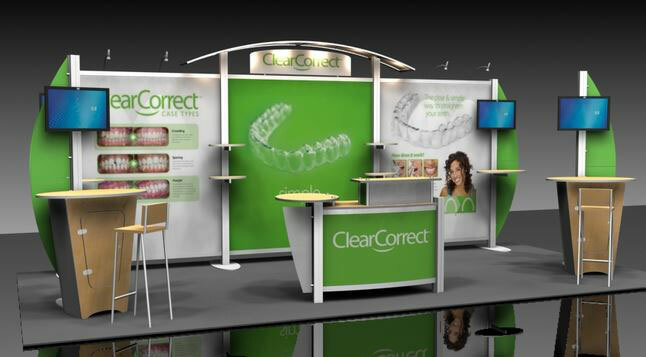 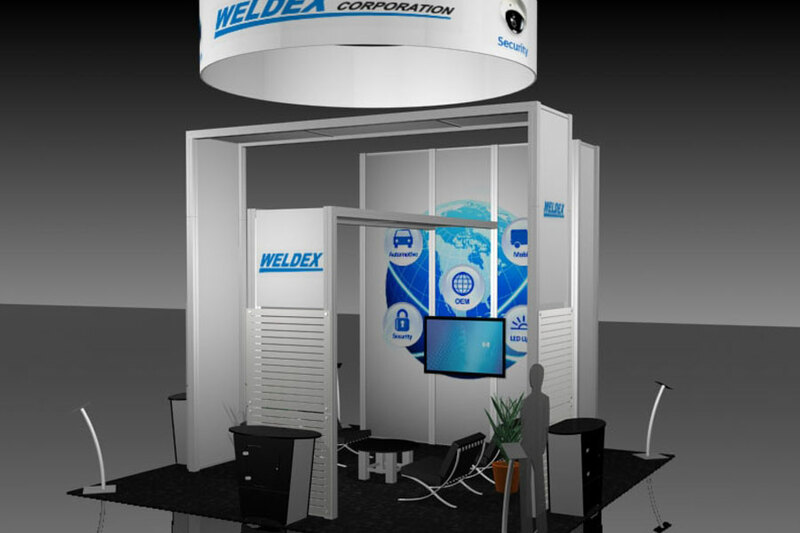 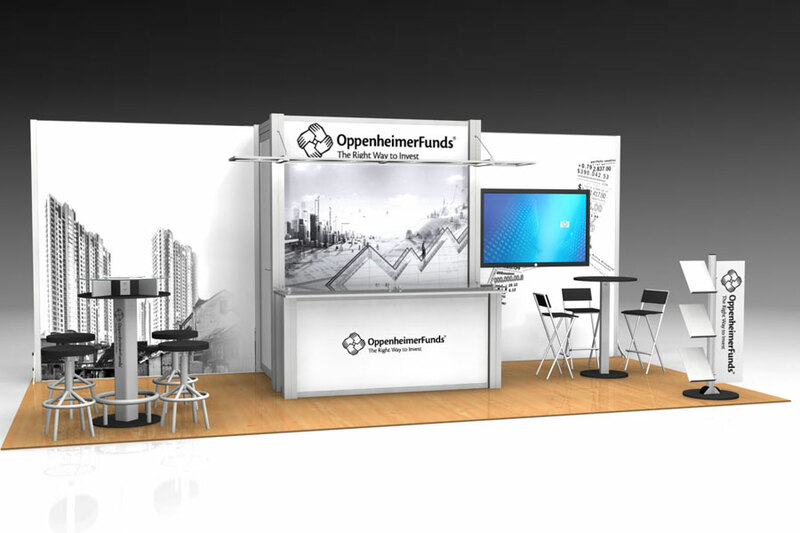 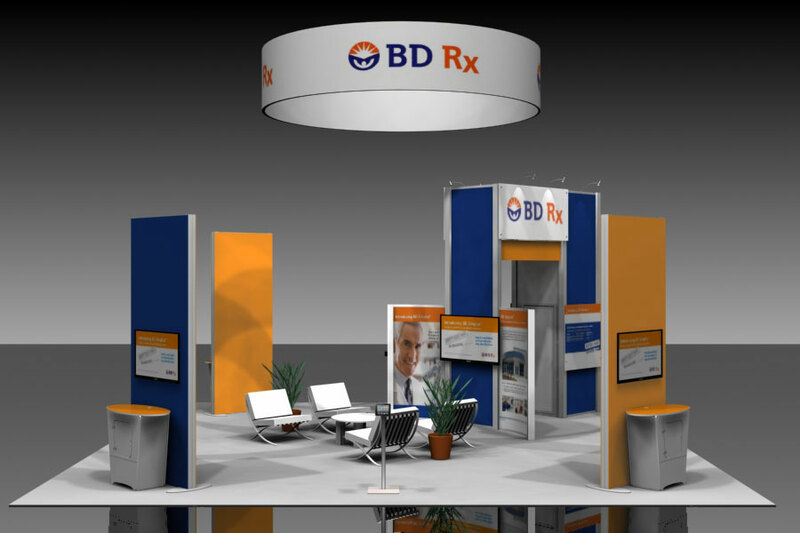 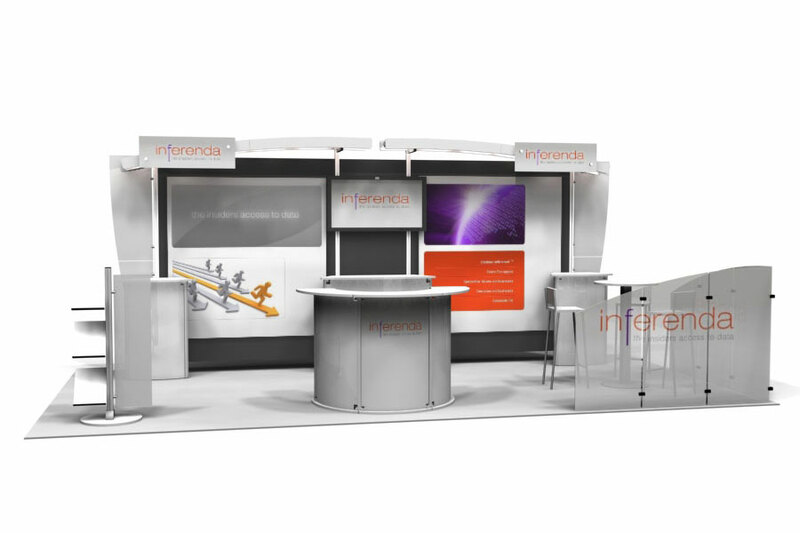 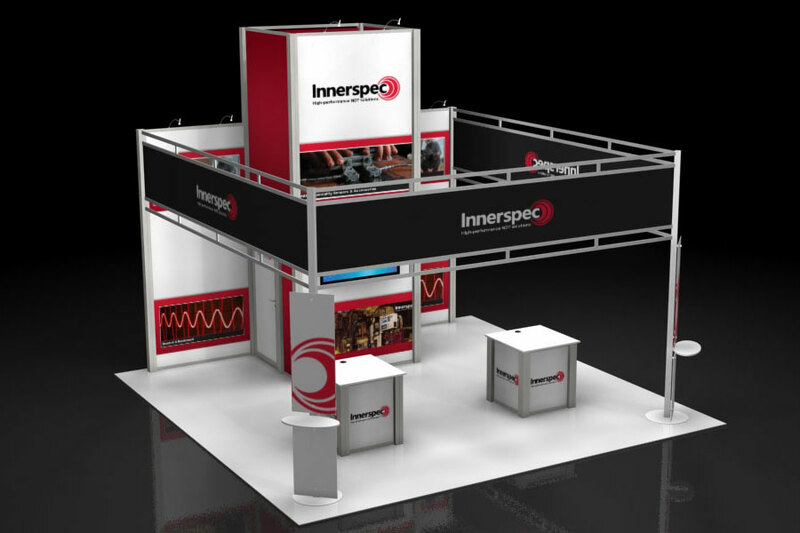 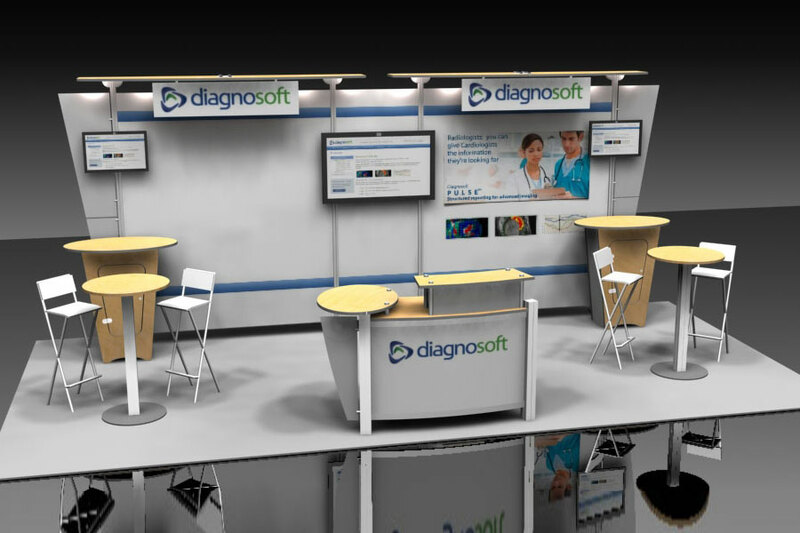 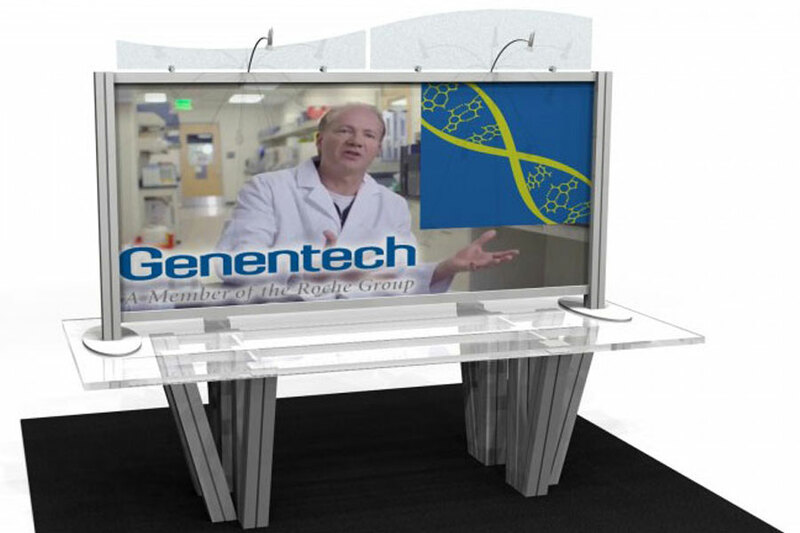 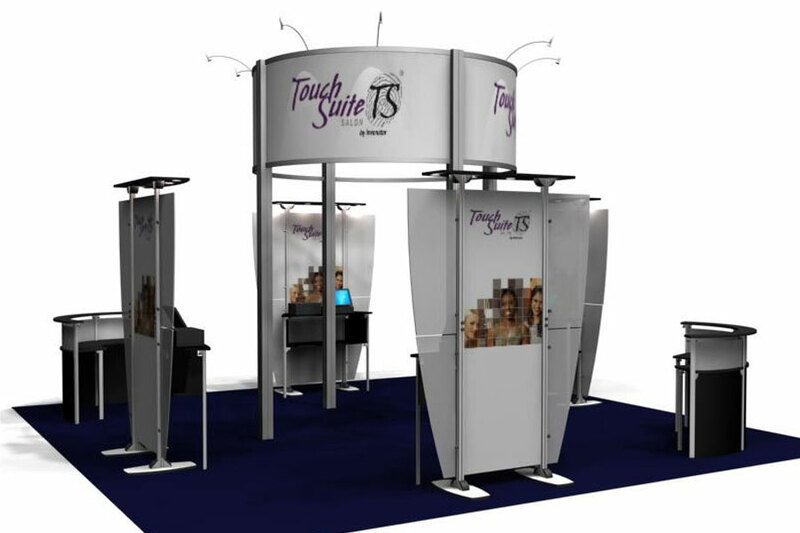 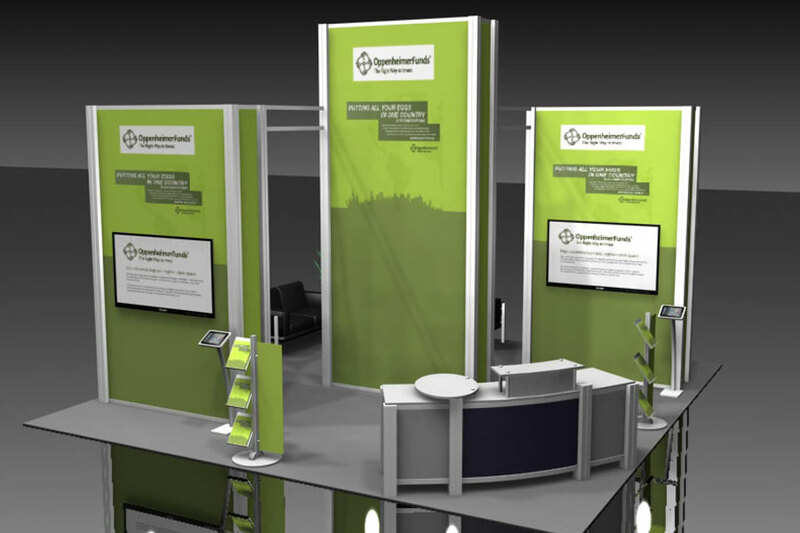 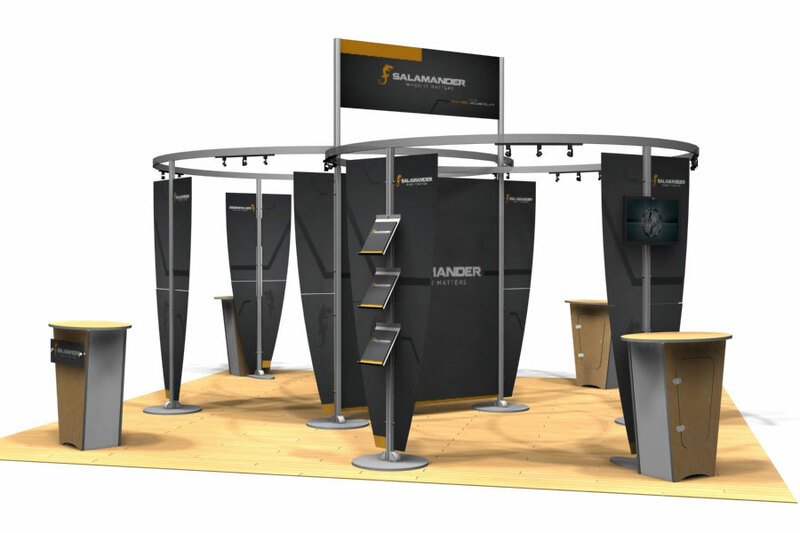 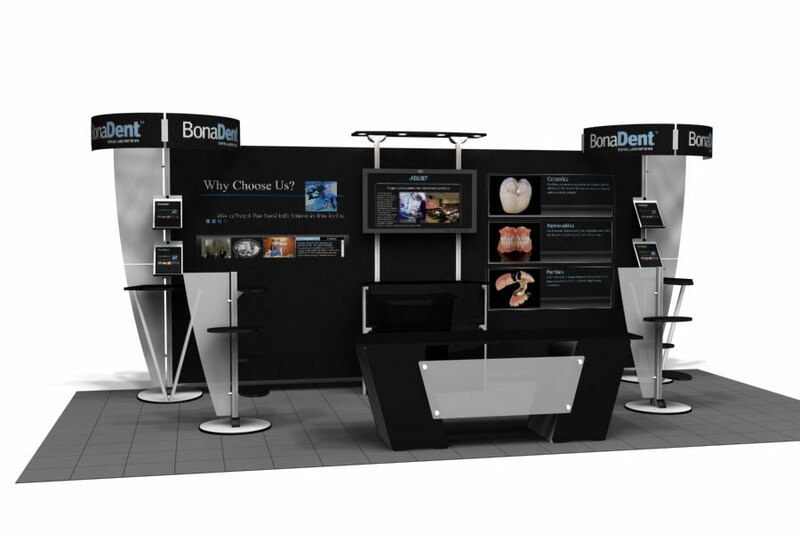 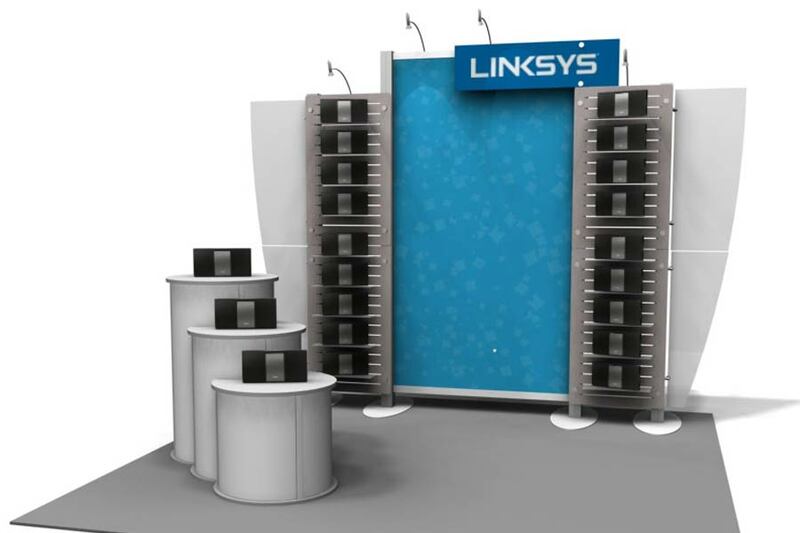 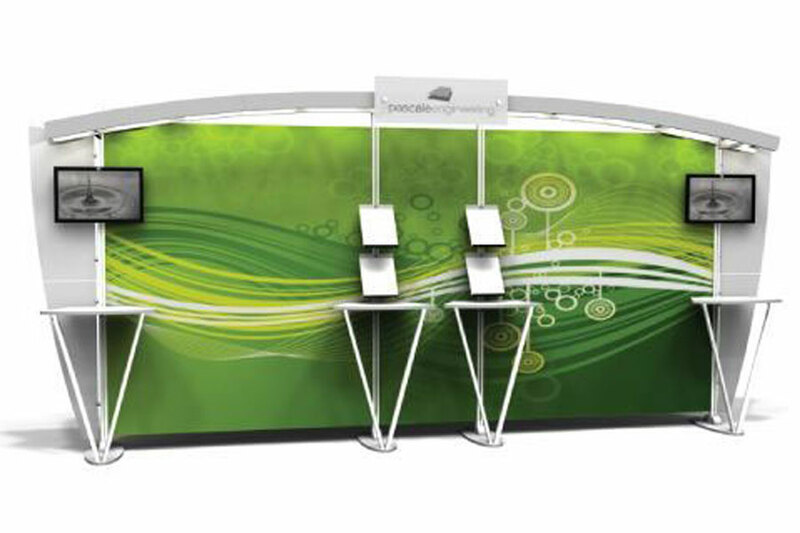 10×20 displays – Offering the same simplicity as a 10×10 display, the 10 x 20 offers greater visibility and more exhibit space for increased booth traffic and in-booth activities. 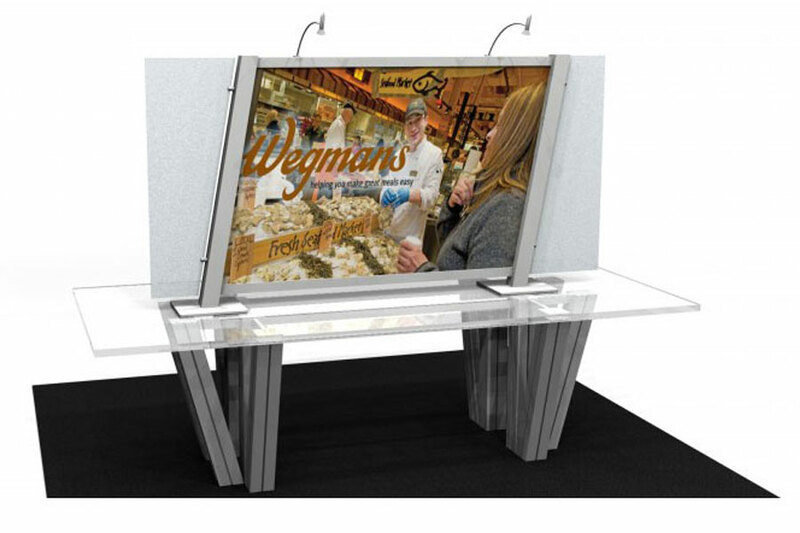 Additionally, many 10×20 displays can break down into two 10×10 displays—an ideal solution for many. 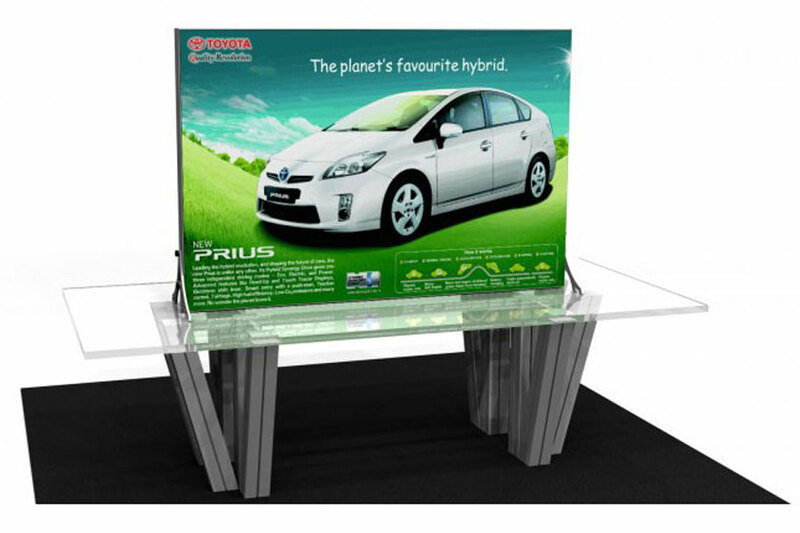 To make the biggest impact on a show floor, island or peninsula displays are a great choice. 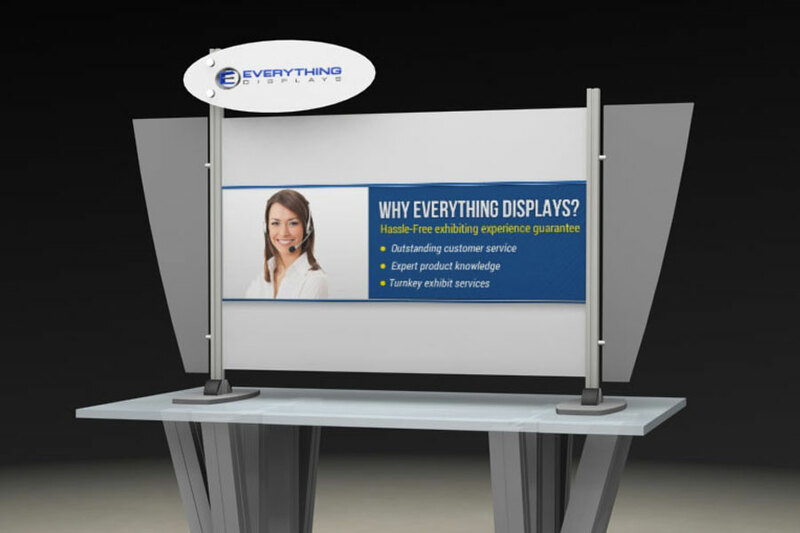 These displays are typically 20′ x 20′ or larger and welcome visitors from multiple sides—allowing increased show visibility and access for larger crowds.